“The city that never sleeps" is New York City’s ultimate cliché, a bragging point for its defeat of that nuisance and natural barrier. No longer stifled by the cyclical patterns of night and day that defined previous centuries, here at last is a city that squashes the limits of life itself through permanent wakefulness. It’s a truism that can stimulate the soul of any “doer”: the unrelenting entrepreneur, the hardworking intern, the assiduous financier, the persistent romantic. As Jonathan Crary notes, today traditional associations with night and day, open and closed, and awake and asleep have collapsed, creating what we call "24/7”. At once the simplest and most profound of shorthands, 24/7 is straightforward string of three numbers slashed by a symbol announcing the permanent revamp of time continuing without disruption. 24/7 throws theoretical shade at tradition, acknowledging the number of hours in one day and days in one week while meshing their limits to create the illimitable. Any specific hour or day within 24/7 is irrelevant. It’s not infinity, but probably the closest we’ll come to knowing it. The 24/7 city is an impressive site, easily overlooked and unacknowledged because it is now so seamlessly etched into the fabric of urban life. Should time travelers from an ancient past arrive to New York City today, they wouldn’t gawk only at our technological prowess but also at how far we’ve overcome the night. Never before has darkness been so brazenly illuminated, so awake. The availability of any action, performance, or commodity at any time of day is, according to the truism, self-evidently and incontrovertibly good. On a social level, the city that never sleeps is an alluring attraction because it contradicts everything we’ve been told about the biological need for those necessary, sweet, and increasingly impossible eight hours. 24 hours without sleep puts you at a comparable cognitive impairment as someone with a 0.10% blood-alcohol level. At 36 hours, blood pressure, hormones, and emotions begin to spiral out of control. At 48 hours, your body shuts itself down with sporadic episodes of microsleep, which can last anywhere from seconds to minutes, after which a person experiences extreme disorientation. 72 hours makes the sleepless person susceptible to hallucinations with serious deficits in verbal, interpersonal, and social skills as well as a loss in motivation, perception and will. You can try to bear it, but sleep will always win, even if it means death. This isn’t to say that New Yorkers don’t sleep. Of course we do. In our beds, on the streets, on the subway, on bar floors, in other people’s beds, and just about anywhere else with space for our heads to rest. But there is a thin line between the city filled to the brim with life and possibility and the city that drags your head across an unending line of cocaine. One exudes the powerful appearance of incessant vitality while the other is the demand of a cut-throat 24/7 economy where sleep deprivation is said to be an aid for survival and success. Here, sleep is the uncompromising siren singing you to shipwreck. 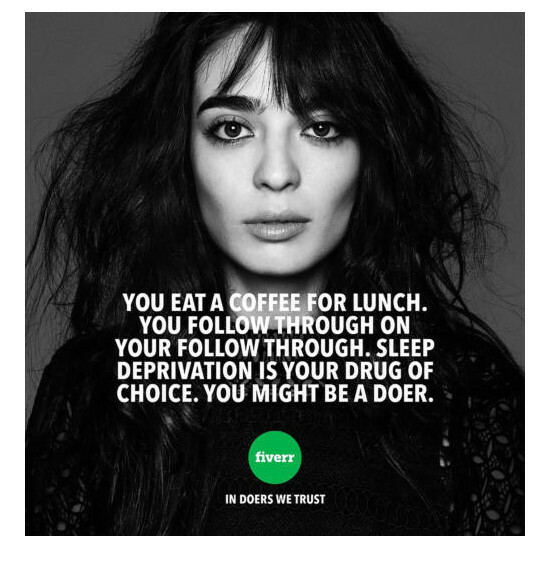 What’s most disturbing about 24/7 is its stylization of individual experiences of modern workers, especially freelancers and those juggling multiple jobs just to stay afloat. Once upon a time, sleep presented a conundrum to the economy; it caused staggering losses in production and profit, as extracting labor and selling commodities in the midst of a citywide slumber was impossible. When laborers went to rest, the economy had to follow until the next day’s shift. For this reason, extending the working day as long as humanly possible in order to milk the most profit was a common tactic amongst employers. In the 1800s, 16 hour shifts were the standard. But unions and the broader working class battled fiercely to shorten the workday to 12, then 10, and eventually 8 hours of work each day. This, of course, was aided by proof that more sleep makes for better workers. Fast forward to 2017, when things are quite different. Precarity, or lacking predictability in one’s work schedule, is the go-to word for economists and commentators in describing the current restructuring of time and labor. It lends itself to the 24/7 city since flexibility becomes the new necessity for survival. A significant amount of the working population must now always be “on-call,” working shifts determined by the needs and whims of employers with no guaranteed hours ever promised. The UK and New Zealand even developed the “zero-hour” contract in which nothing is promised but everything is up for grabs and at stake. The history of labor’s battle with working hours is long and dense, but the takeaway is that time is political, a space where the battle for relaxation, free-time, and sleep is at stake. So long as a 24/7 economy demands us to be always awake, alert, aware, available, active, and present, sleep will always be it’s most vicious affront. It took me a long time to welcome sleep’s uncompromising lulls. At one point, I had several apps that promised to reduce my sleep to the healthiest level possible while increasing productivity and hours of my day. It calculated, calibrated, realigned and even graded my sleeping patterns (only for a couple dollars of course). But what it really accomplished was the development of a Stockholm syndrome relationship with my alarm. I was held captive by the idea that sleep was the theft of time, kidnapping me from the possibilities of an unending night and a world of possibilities. But while science has not yet found a way to eliminate sleep entirely, it can still be controlled. The proliferation of apps, gadgets and technologies promising to recalibrate sleep, increase productivity, and decrease “wasted time” has accompanied a wider technological trend encouraging constant alertness, awareness and general connection. Our sleep is now something that can be tracked, recorded and sold back to us with its own notch somewhere within our individualized algorithms. That is, of course, if you can afford the luxury. I love living in the city that never sleeps, but not when it’s reimagined as an unending worksite that both hastens and exhausts the life that gives rhythmic pulse. After all, the city that never sleeps is something that New Yorkers want to wake up in, as Frank Sinatra once tuned. But to do that, we’ll need to reclaim our time and our right to shut off before New York itself devolves into one constant, unending alarm.